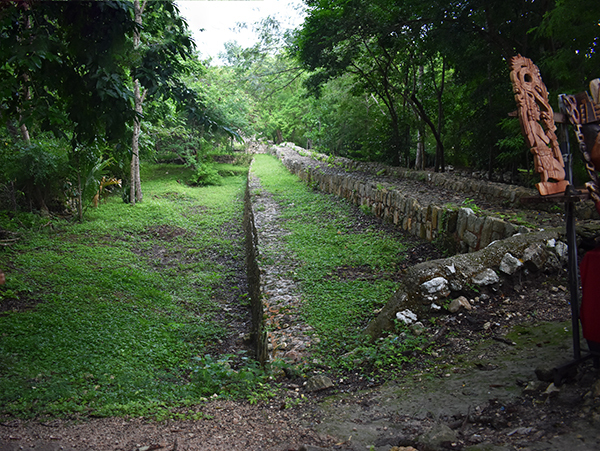 Not one, but two of the Wonders of the World revolve around lost and abandoned cities of Mayan civilization. 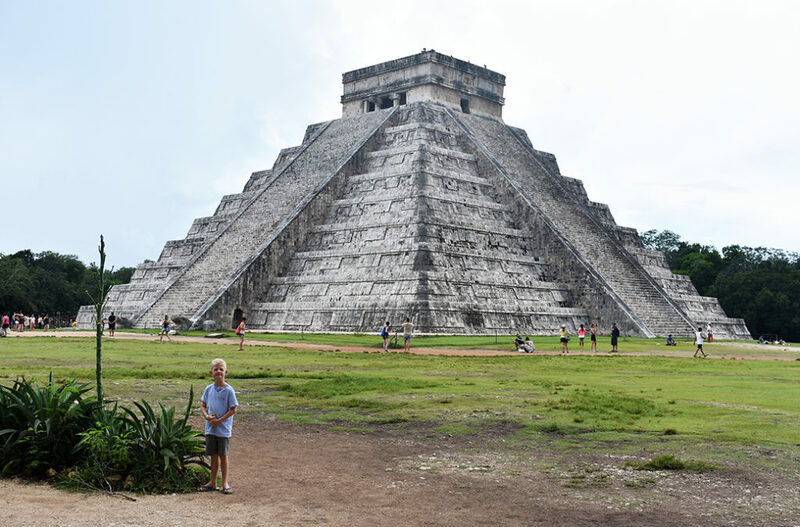 One being in Peru: Machu Picchu, and the other in Mexico: Chichen Itza. These civilizations had complex and layered pyramid shaped temples, miles of networked roads that connected each city, and the summer and winter solstice each year manifest celestial beliefs through physical creations. 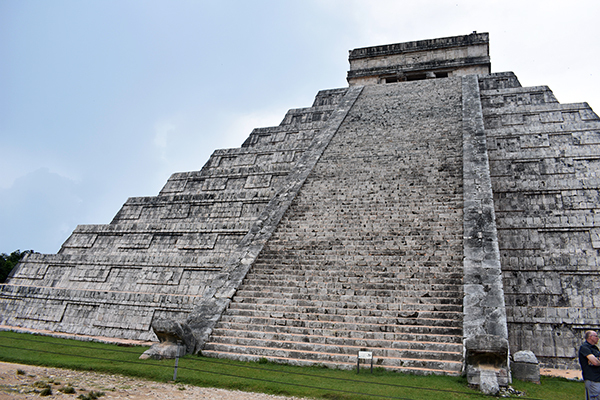 Chichen Itza is a sight that earns its marks as a true wonder. It is no more, nor less, than any of the other surrounding temples in the area, but due to its sheer size, detail, ornate features, history, and location represent a vision of a past that is hauntingly disquieting and whisper of a once sophisticated and thriving culture that eventually drowned itself in depravity. Chichen Itza is both a sacred and reverent place, which is ironic considering the hustle of vendors that line the walkway from the entrance to the grounds hassling every patron that walks through this corridor to buy their $1 merchandise. Once entering the grounds however, you’ll find a quiet, somber and reflective place. Sacred, no question, due to the pertinence of historical significance this temple holds in the annals of human history. Reverent in both the awe and brilliance of this lost civilization yet solemn in the brutality that nearly overshadowed their accomplishments. Chichen Itza is the second most visited lost Mayan civilization in Mexico. 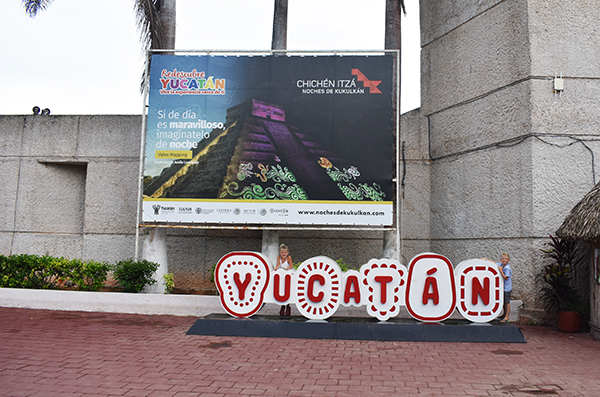 The first is Teotihuacan in Mexico City, and the third is Tulum. It is so revered because it is one of the largest, which makes it easy to navigate, understand and decipher to a degree. The height of its majesty occurred during 600 BC to 1000 AD, but recently has been dated up to 400 years earlier. It was abandoned by the year 1250 AD. Our family was fortunate to visit during a slower period and were not bombarded by swaths of people even though we visited in August, during the high tourism season. We simply must have picked the right date and time for our tour. This definitely enabled us to enjoy what we were experiencing more so than had we not been able to view the ruins up close, and had with less time to see it from every vantage point. The name Chichen Itza is translated to mean at the mouth of the well, with Itza referring to magic and water. 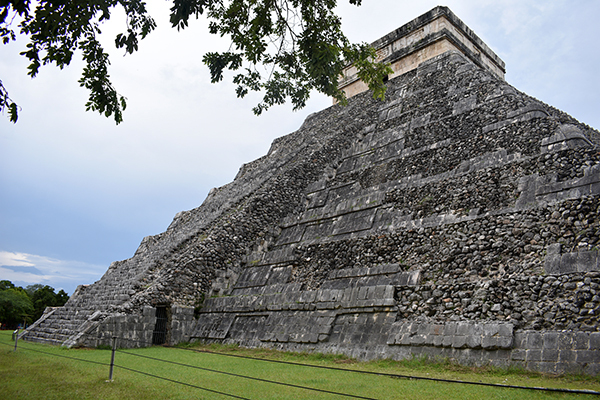 There is little known beyond this enigmatic translation with the exception of the discovery of a cenote located beneath the temple of Kukulkan. It was discovered using SONAR and RADAR technology and has never been seen by humans in modern times. 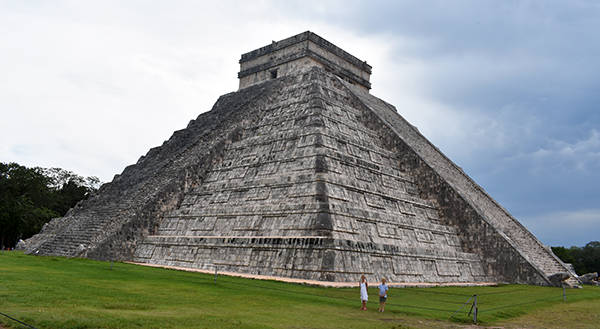 The main temple at Chichen Itza is named the Kukulkan Pyramid. Kukulkan is the God of the Feathered Serpent, or Quetzalcoatl. 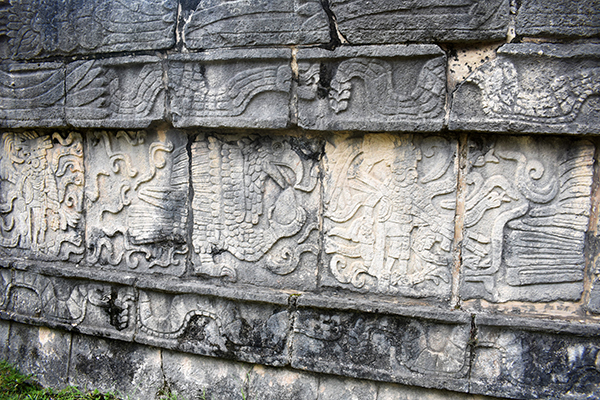 While the dominant symbol at Ek Balam is the Jaguar, the dominant symbol at Chichen Itza is the Serpent which the Mayans believed represented the earth. The detail at Chichen Itza is piercing. Even though much of the ruins have been pilfered over the years, the ornate detail in the hieroglyphs and sculptures are mesmerizing. It is easy to imagine a thriving metropolis that was connected by the sun and the stars to the nearby cities. The buildings, structures, and grounds offer no less than what you would expect walking into a thriving modern city today. 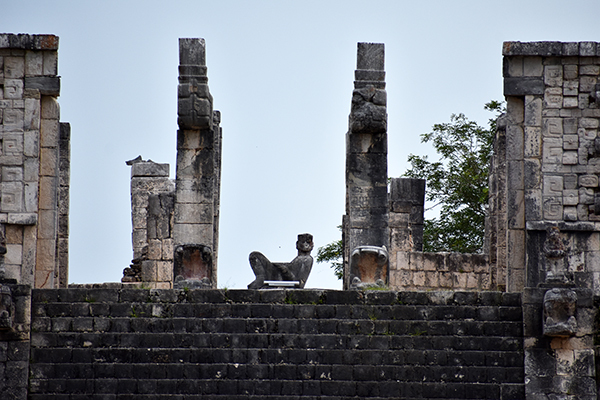 Though we were disappointed not being able to climb Kukulkan, the lack of doing so did not diminish the temple’s imposing presence or powerful connotations. 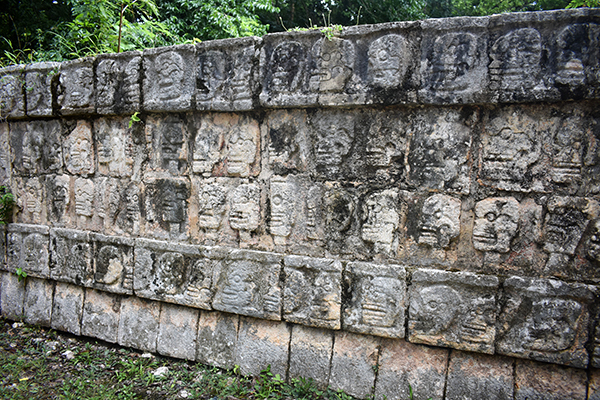 Kukulkan is remarkable as it matches uniformly with the sacred numbers of the Mayan belief system. The calendar wasn’t just a way of calculating when the sun made a full rotation around the planet, it was guarded as a way of life dictating when to plant crops, offer sacrifices, perform ceremonies and rituals. The Mayans operated by four different cycles, each represented uniquely in their culture. In congruence, Kukulkan was built in precise manner considering constellation and planetary rotation and influence. One example of this is obvious in the physical acuities of the temple stairs. Four sides of the temple, each side possessing a staircase comprised of 91 steps. The total combined steps of the Kukulkan Pyramid totals 364 with the final step leading to the inner chamber itself that makes up, 365, the number of days in the calendar year. 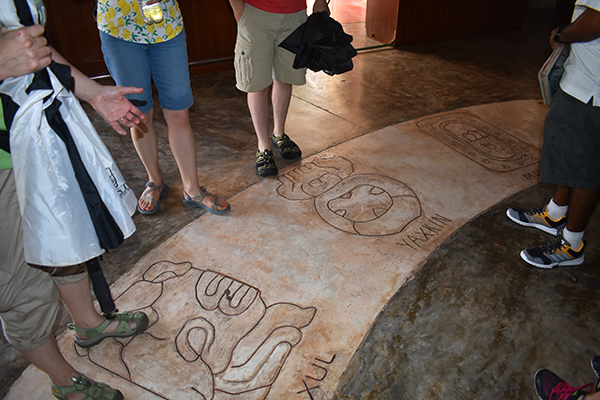 Part of our worldschooling experience also taught our family that Mayans did not write numbers as a single character the way that we do today. Instead lines indicated a group of five, and dots indicated a single number. Grouped together in complex variations, similar to roman numerals, created the mathematics by which they founded their calculations. This enabled them to not only simply study, but analyze and probe the heavens and planets to create and advance their vast civilization. Interestingly, we also find that much like Greek civilizations, Mayan architecture was built atop a cornerstone. 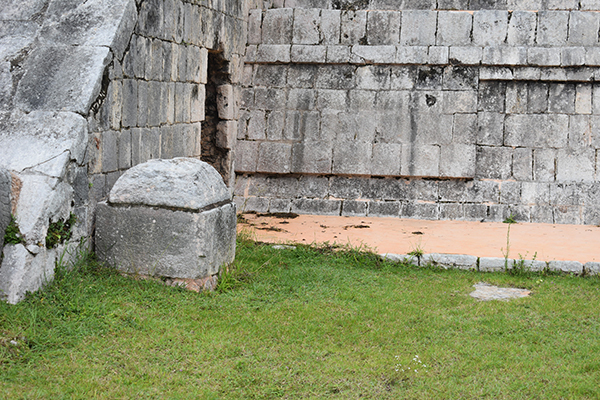 However, Mayan architecture is square, as opposed to round, and holds its structure even if one piece is removed. Though the limestone of the temples have been eaten away by the encroaching jungle over the past millennia, they have retained their structure, shape and integrity with only the facade of the limestone crumbling away and the remaining buildings intact underneath the overgrowth. 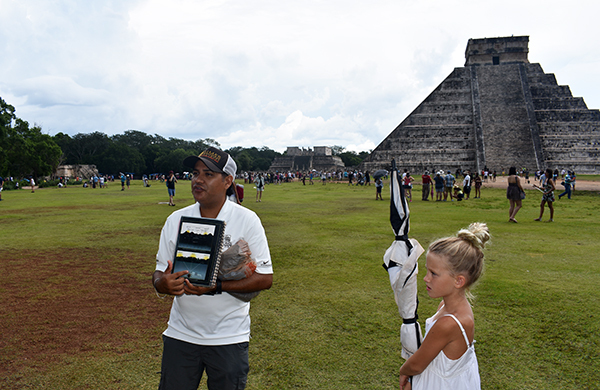 As a family, we were enthralled with our experience at Chichen Itza with kids. We found the juxtaposition of a civilization that believed in honoring pure and sacred ritualistic beliefs that centered around a knowledge of Christ alongside a culture that was brutal, heartless and savage. It is a story that we see repeat itself throughout human history. Greed and lust leading a once sophisticated and remarkable society down a path of soulless depravity. We have these physical remains to give us a window of understanding, but we lack the ability to compare the parallels of this ancient civilization to modern times because they seem so far removed. 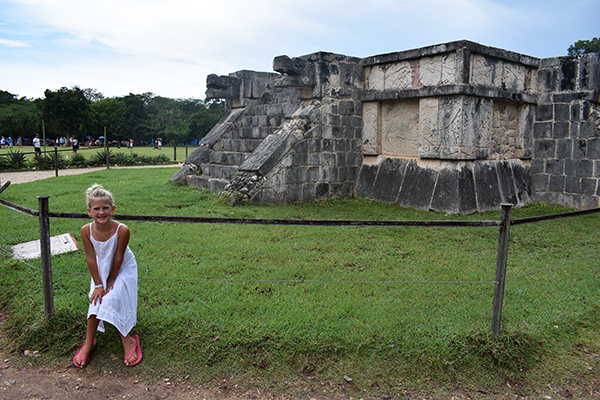 Walking the grounds at Chichen Itza with kids provides a singular experience. 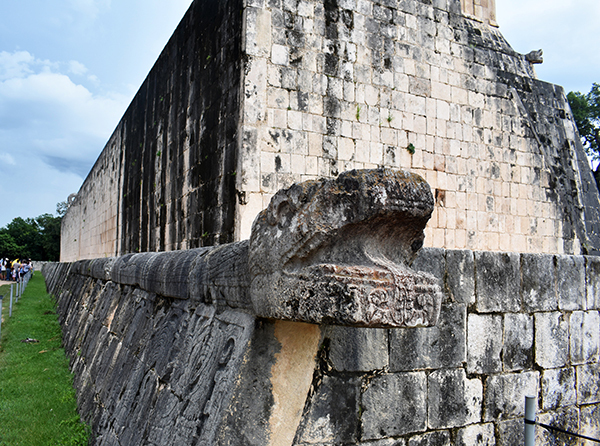 Serpent heads border the walls of the buildings and are incredibly intricate and represent a connection between earth and heaven, while intermixed you’ll find eerily despondent Jaguars that hover atop thrones carrying bowls which held sacrificial hearts taken from living victims. There are underground caverns that have been located beneath Chichen Itza which signify of tumultuous times as they were used to bury precious items to prevent their being lost to the ravages of war. The Temple of Warriors compound has 1,000 columns and is the equivalent of the temple found at Tula, either telling a story of a competing city or one that was united in common practices. Of course, then there is also the ball court. 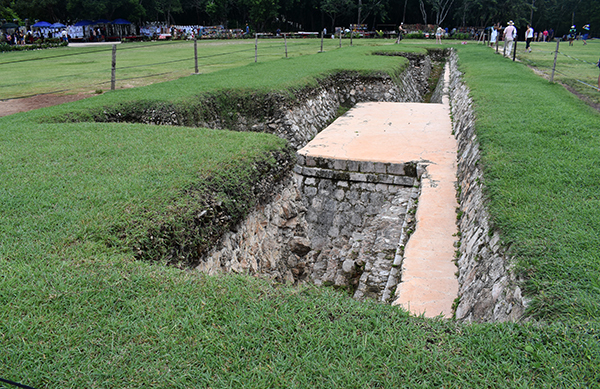 Pok-ta-Pok is the familiar and gruesome game played at ball courts throughout Mesoamerica. 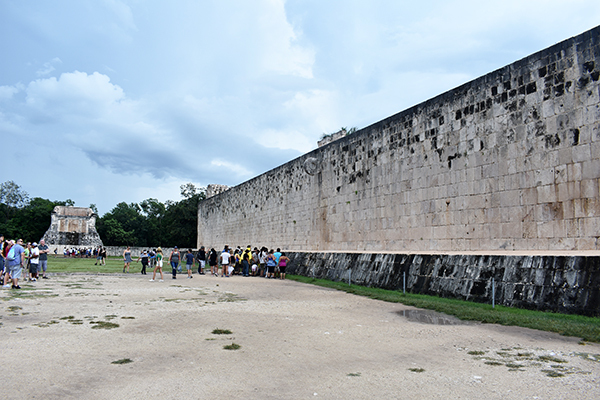 Chichen Itza’s ball court is one of the largest, and has been restored complete with descriptive hieroglyphics that depict the outcomes of the winners and the losers. Even more dismal, is the the wall of skulls found nearby with accompanying stakes piercing skyward that would showcase the inevitable fate of the losers. There is so much wonderment found at these ruins. One single visit forces you to consider this beautiful and compelling place, that is steeped in culture and history and rich with passion with the grisly understanding of the stories that riddle the deep recesses of the shadows. 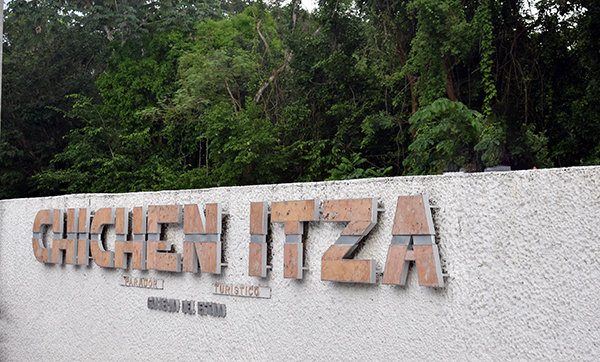 Chichen Itza is a place that changes you forever. ► For Kids: World schooling about Mayan civilization is not an easy task. 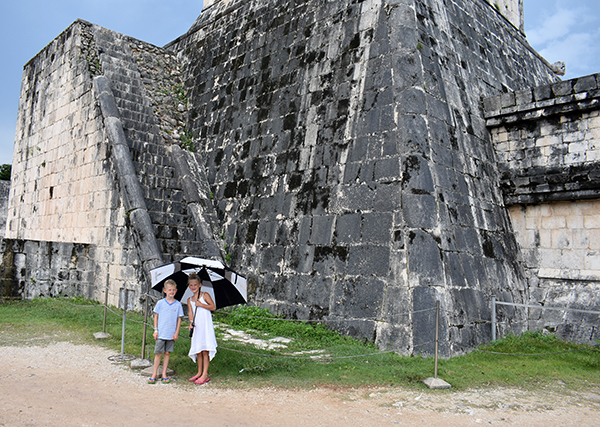 Touring Chichen Itza with kids is incredibly rewarding but is not without its difficulties. This civilization was complex and a bit foreign to us in many ways. 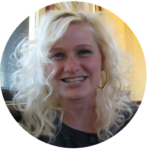 At the same time we can find many parallels to modern day, particularly for those with a Christ centered point of view. 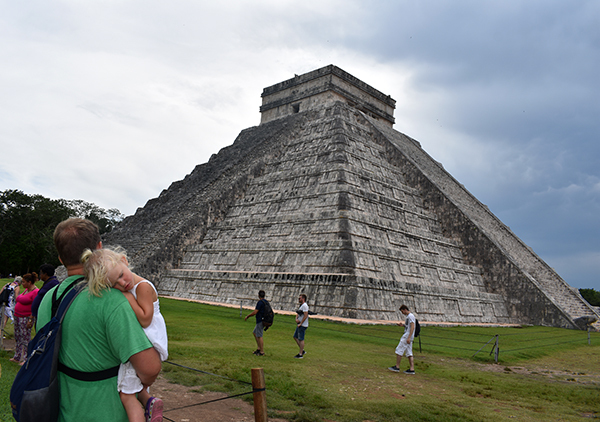 However, Chichen Itza is an emotional place, and families should be prepared at what they will encounter here. 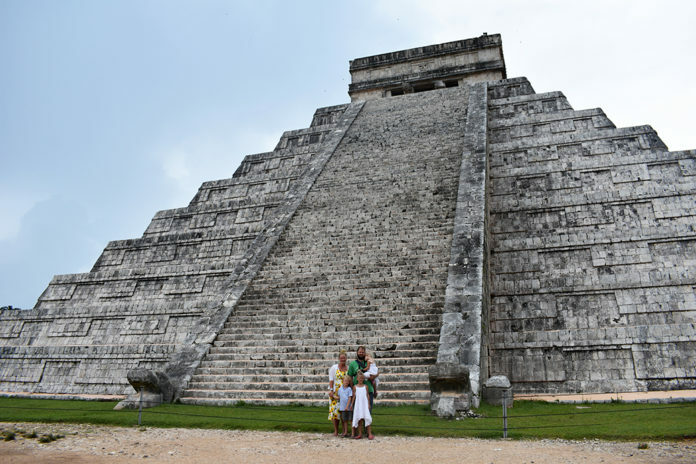 My sister was able to visit Chichen Itza in 2012 during the end of the perceived calendar and coinciding equinox and I’m so jealous! In reality, instead of being the end of times, the Mayans formed their calendars off a 52 year cycle, with the last cycle ending in 2012. 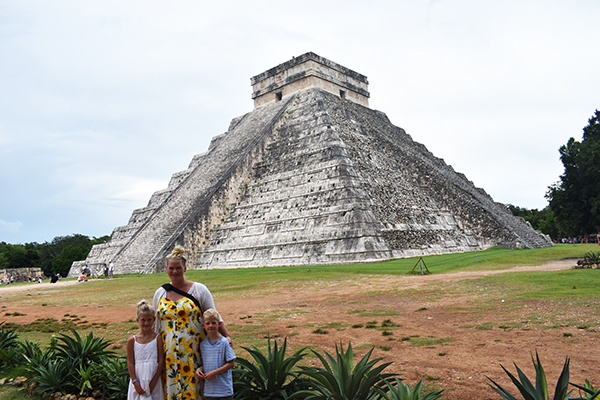 ► Nap-Time Version: A brief history of Chichen Itza and our time touring the ruins of Chichen Itza with kids as a family exploring and learning about ancient Mayan civilization. 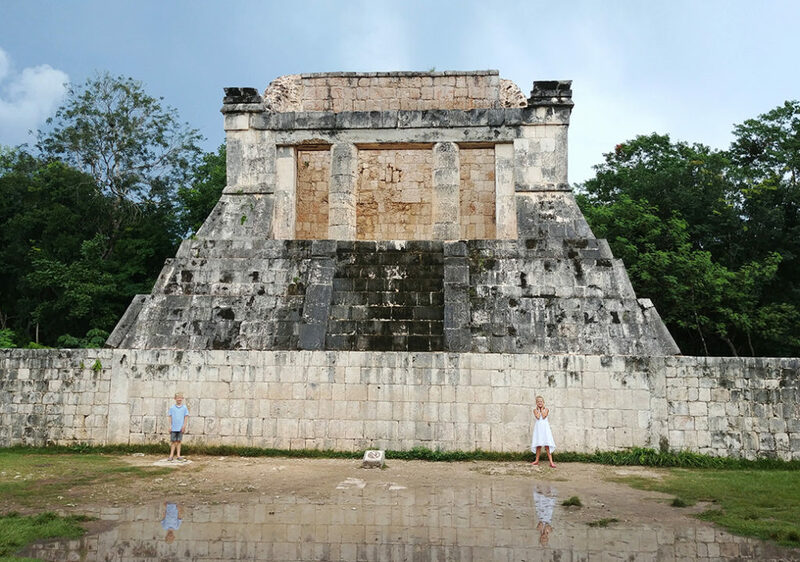 Our family also toured Tulum, Coba, and Ek Balam, plus cenotes in each region of the Yucatán! This wonder and remnant of the Mayan civilization, has been on my travel list since my school days 😀 It is appalling that such UNESCO sites are crowded by hawkers in many of the countries. I wish these sites are protected and preserved in the right way!